Our Mission: To achieve your goals and exceed your expectations! The mega agent office of Baker, Cook & Stipp Team, affiliated with KW Advantage Real Estate, is a partnership of three real estate veterans. 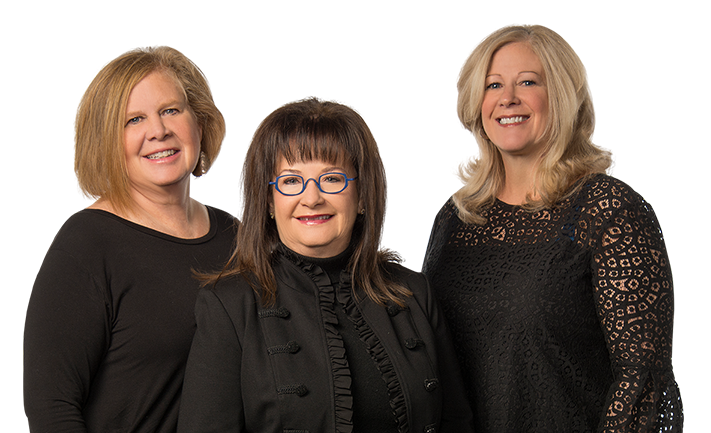 Partners Sharon Baker, Pam Cook and Sherry Stipp point to their communication commitment that sets them apart. We are knowledgeable about residential home sales, multi-family sales, builders, short sales, foreclosures and many other aspects of the real estate process. We have also reinforced our real estate experience with past careers in marketing and education. Professional development classes keep us up to date on the changing real estate trends and changes. As a female-owned business, we establish our brand as a team, as opposed to a single agent. We provide the personal attention, market expertise, and counseling on all aspects of buying or selling a property. We want clients to know that each of us is totally dedicated and qualified to provide the best services and results.